I used to keep Facebook open on my work computer, checking in periodically throughout the day. 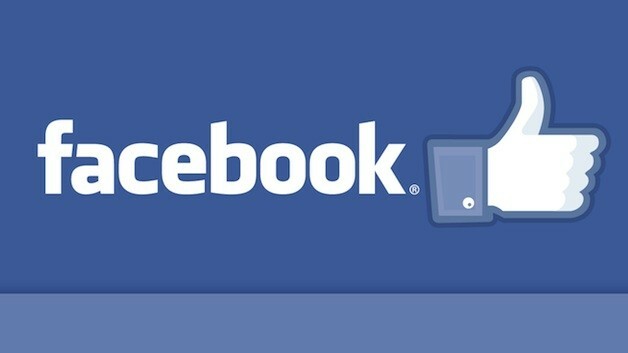 I relied on the Facebook app on my phone to entertain me whenever I was waiting in line or riding in a taxi. I would also log in at home. It was overkill. I check Facebook less often now. The goal: Read less and write more. First, I disabled the app on my phone. I also enabled email notifications for whenever someone sends me a message, tags me in a photo, or posts on my profile or in one of my groups. If someone's trying to get in touch with me, I still want to know and be able to respond. Because I get the notifications, I don't need to keep Facebook open at work or check on it constantly at home. Here's how to get those notifications: Click on the wheel icon at the top right corner of Facebook and choose "privacy settings" on the menu that pops up. Then click on "notifications" on the left. Then, you can edit what Facebook sends you over email - as well as via texts and phone alerts. I hate it when people send me personal messages by broadcasting it on my profile page, or timeline, for everyone to see. I'd rather that person send me an email or a private Facebook message that I alone could see. But many people still insist on posting such messages on my timeline anyway. To address that, I effectively turned off my timeline. Someone can still post on it, but I've adjusted the settings so that person and I are the only ones who can see that note. I can still publicly share things that I want seen broadly, like a post I wrote promoting my sister's new yoga business. To make these adjustments, choose "privacy settings" under the wheel again. Then click on "timeline and tagging" on the left. Facebook alerts me when somebody else has attached my name to a post or picture, and I need to approve it before others can see it. The settings for this are found under the same "timeline and tagging" page. Turn on reviews for posts you've been tagged in. My news feed - the stream of friends' links, photos and life comments - was too cluttered with information about people I didn't know anymore. De-friending people seems rude and aggressive to me (although it may be a good idea down the road as decades of friends pile up). - Determine who shows up more on your news feed. When you're on your timeline page, click on "friends" at the top, near your profile picture, to see a list of all of your friends. Each person has a "friends" button next to his or her picture. To see more of that person's posts, choose "close friends." To see less, click "acquaintances." Friends won't know that you've sorted them this way. You can also do this by hovering over the name of the person posting on your timeline. A box will pop up with the person's profile picture and the same "friends" button. - To tweak what kind of updates you get from each friend, click "settings" under the same "friends" button. You can choose to see only updates on major life events and pictures, for example, while ignoring updates about their comments and likes on other people's posts. - If specific posts in your news feed annoy you, you can hide them. Hover over the top right corner of the post, click on the box that pops up, and choose "hide..." That will remove the post from your news feed, although you will still get future updates from that person. - You can also cut off all updates from a friend. After hiding a specific post in your timeline by that person, click "change what updates you get from..." Under the drop-down menu that comes up, click "unsubscribe." You can also ignore a person's Facebook activity by unchecking "show in news feed," under the same menu that lets you sort friends into "close friends" and "acquaintances." Curating your news feed in this manner is burdensome if you have hundreds of connections. But the result is less tabloid magazine, more personal messages and cute pictures from people who are actually your friends. One of the great benefits of Facebook is that it helps you keep in touch with a handful of people who have a shared interest. Hundreds of Facebook friends don't need to see the intimate interactions I have with a few closer friends. So I created private spheres for smaller circles - smaller than the lists Facebook automatically generates based on your school information, hometown and employer. I created such a group with three friends - one from England, one from France and one from Los Angeles - I had spent several days with in a small town in Colombia while on vacation. The four of us use that to post silly photos of ourselves from the trip and write each other personal updates. That spares everyone else from having to hear about the next time we're going to see each other. To set up a group, go to your news feed by clicking on "home" up top. Then click "create group," which is on the left of the page, in the "groups" section. I typed in the three friends to add and chose to make the group "secret," which means only members of the group can see that it even exists. I also get notifications from Facebook whenever anyone posts to the group. You can turn those on from the "notifications" page under the wheel icon.